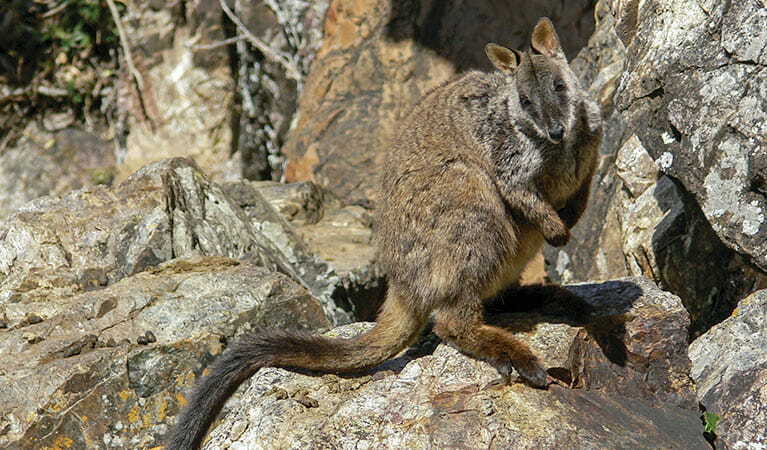 It isn’t very hard to find your soft spot for the shy and beautiful brush-tailed rock-wallaby, currently one of Australia’s threatened species. 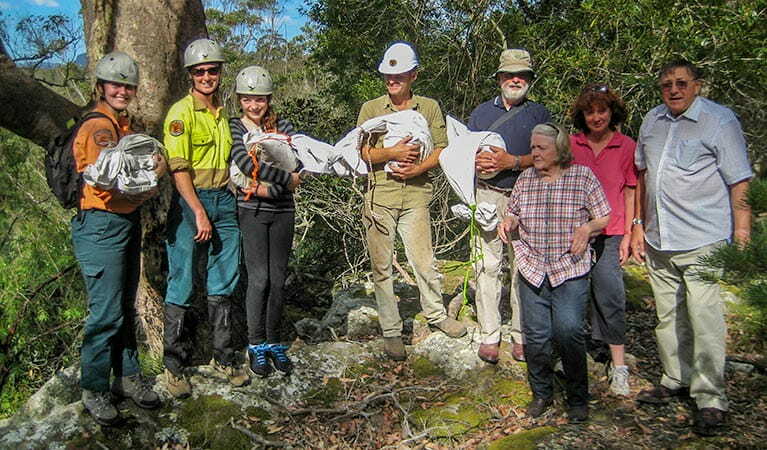 NSW National Parks and Wildlife Service and Friends of the brush-tailed rock-wallaby, based in the Shoalhaven area, invite you to help save this native Australian animal from extinction. Annual membership is $15 per person or $25 for a family. 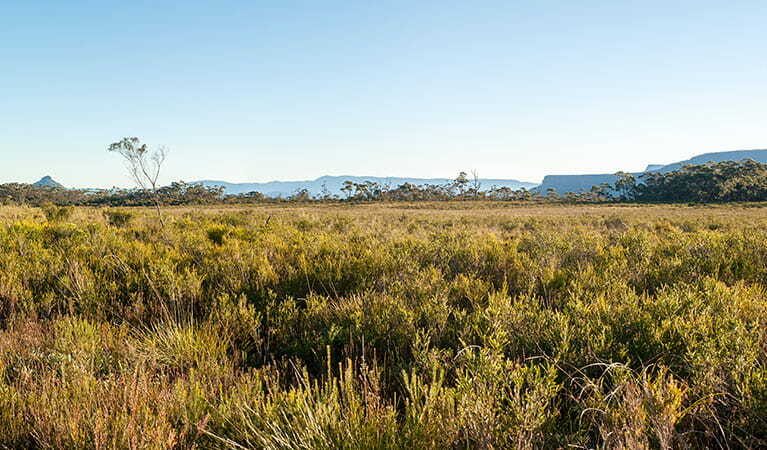 To join, visit the Friends of the brush-tailed rock-wallaby website. Building community awareness, including staffing stalls at local shows and events. Taking part in feral animal and weed control in the Shoalhaven, including assisting with weeding working bees within local colonies. Contact the Friends directly for more information on how you can help, and what you need to bring along when you volunteer.